Past week, USUE women's basketball team held three matches and won two of them. On Tuesday, basketball players of Ural State University of Economics met with the UrFU team at Universiade-2018 of the Sverdlovsk region. After three rounds, both teams had no defeats. This match determined who would take first place in B-group of the Universiade preliminary stage. The game began with the aggressive actions of our team in the attack and defense against UrFU players. After the first half of the match, the result of the well-coordinated actions of the USUE players was an advantage of 29 points. In the second half of the game, the USUE team continued to dominate. The match finished with our win with the score 71:41. 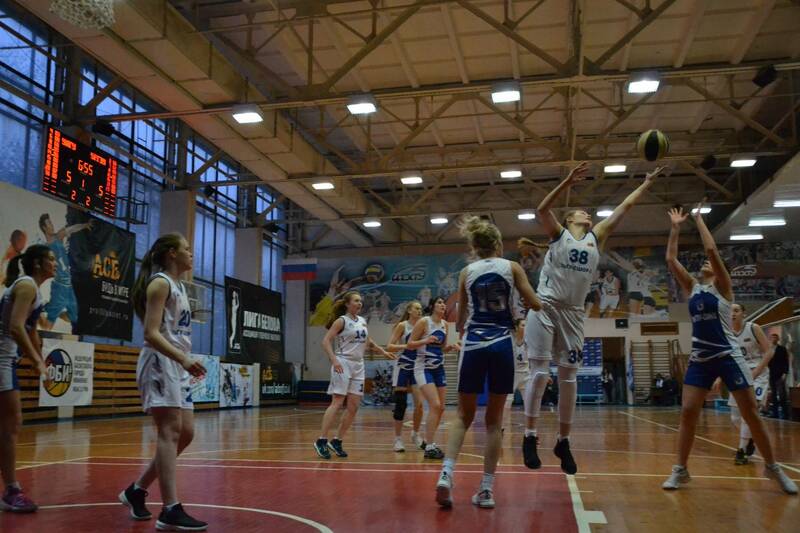 We congratulate our basketball team on reaching the final of Sverdlovsk region Universiade! Last weekend, the other competitions were held in Perm: the final stage of Belov League, the national championship among the student teams (64 best teams of the country, 300 participants). On the first day of the competition, our team played against a formidable and highly -awarded opponent, an acting bronze medals holder – PAFKSiT (Volga Region State Academy of Physical Culture, Sports and Tourism) team from Kazan. The game turned out to be interesting and intense. A minute before the end of regular time the score was equal. Because of the fouls, three players of the USUE team fouled out and did not take part in the match anymore. This allowed the opponents to score six points. Unfortunately, in that confrontation our team was upset. In that game, the real leader was the team captain Tatiana Katt, who scored 19 points. The next day our team defeated BSAU team from Ufa, scoring 35 points. In that match, top-scorers were Varvara Batina and Anastasia Moseeva.